Beautiful floors that solve ugly problems. Advanta Flooring invents, develops, and manufactures industrial strength, commercial quality, fast and easy to install flooring. Flooring that is specifically designed to solve the real and substantial problems that inferior flooring poses to businesses, industry, institutions, and homeowners. From the challenges of installation and maintenance to concerns about safety, ergonomics, and environmental impact—when you have flooring questions, Advanta Flooring has answers. Tuff-Seal is a commercial-grade, highly durable and easy to install floor ideal for all types of conventional flooring projects AND for covering contaminated subfloors, uncured concrete, and areas with moisture problems. It withstands heavy rolling loads (forklifts, aircraft). It covers ugly, problem subfloors. Searching for a floor that expresses your style—elegant, dramatic, earthy, casual? ENVEE® uses high-resolution imagery, natural textures, and realistic finishes to create flooring with all the advantages of today’s most advanced surface technologies. ENVEE Rigid Core performs better than real wood and looks so natural and rich that we challenge you to tell the difference. It withstands rough, tough traffic. Its patented drop-lock installation is fast and foolproof. Searching for a floor that expresses your style—elegant, dramatic, earthy, casual? 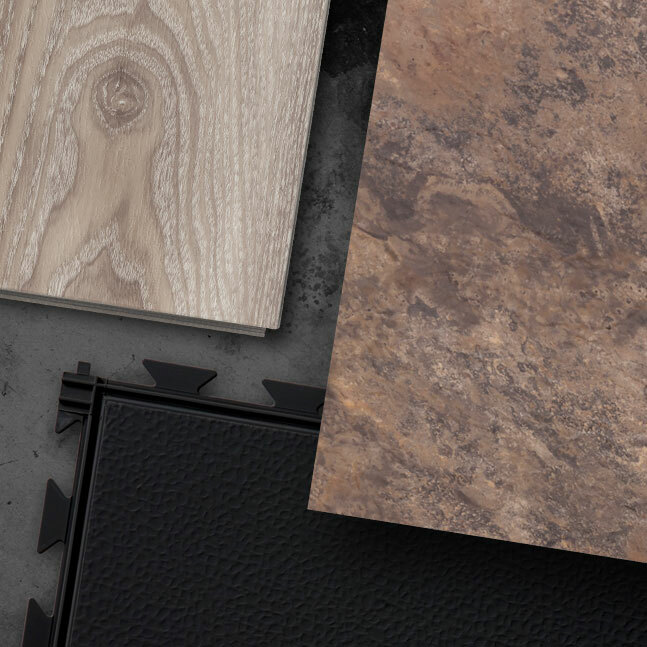 ENVEE® uses high-resolution imagery, natural textures, and realistic finishes to create flooring with all the advantages of today’s most advanced surface technologies. ENVEE Tacky Back performs better than real wood or stone and looks so natural and rich that we challenge you to tell the difference. It features fast, easy, self-adhesive, place and press installation.